The Active&Fit DirectTM Program allows you to choose from 9,000+ participating fitness centers nationwide for $25 a month (plus a $25 enrollment fee and applicable taxes), without requiring employer sponsorship. Additional fees and requirements apply. You can easily cancel your enrollment at any time after three consecutive months of enrollment. The minimum age requirement is 18. Already have a fitness center membership? Certain participating fitness centers allow you to suspend your membership so you may join the Active&Fit DirectTM Program at no penalty. If in the future you decide to cancel your enrollment in the Active&Fit DirectTM Program, your original fitness center membership may be reinstated if it was suspended (not canceled). Please check with your fitness center. 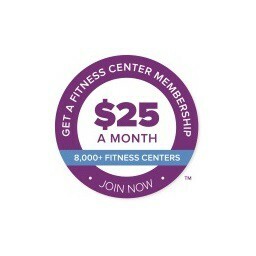 Enjoy a fitness center membership for $25 a month (plus a $25 enrollment fee and applicable taxes). The Active&Fit Direct program is provided by American Specialty Health Fitness, Inc., a subsidiary of American Specialty Health Incorporated (ASH). Active&Fit Direct and the Active&Fit Direct logo are trademarks of American Specialty Health Incorporated and used with permission herein.